Requirement: Ensure ampoule strips are produced with proper dimensions and fill levels. Project: Use automated image processing capabilities of machine vision technology to replace manual, error-prone human inspection of ampoule strips. Solution: Turnkey hardware/software system using ISW machine vision inspection software interface and Microscan Gigabit Ethernet (GigE) cameras. Result: Ensured quality of ampoule strips and reduced production defects lead to cost savings. Whether decoding Data Matrix symbols, reading text with Optical Character Recognition (OCR), or performing product inspection with machine vision, Industrielle Sensorsysteme Wichmann (ISW) GmbH has been meeting demanding applications with high-performance, turnkey automation solutions for over 20 years. ISW has a legacy of enabling complex automation tasks at all stages of production in industries from automotive to pharmaceuticals to packaging with over 5,000 systems installed internationally. 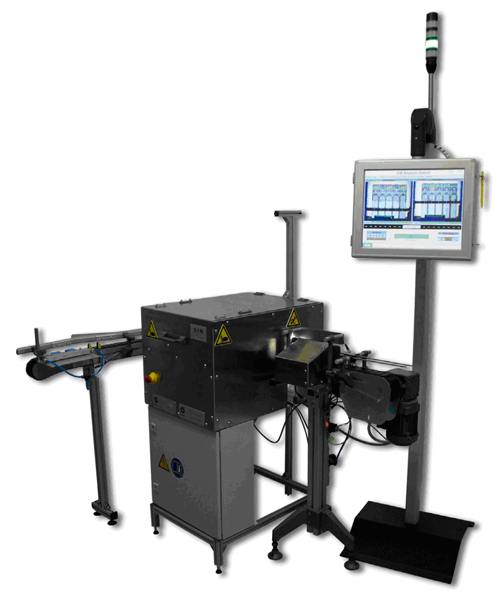 A Microscan Vision Select Partner, ISW integrates Microscan barcode reading and machine vision technology into its systems to enable product tracking, traceability, and quality control processes that allow companies to reduce waste, increase production speed, and ensure quality products through automation. Non-contact inspection and measurement is essential in many areas, but it is also difficult to achieve with manual processes and human operators. In image processing, a camera system replaces error-prone human operators and functions continuously at a consistently high level of quality and precision. 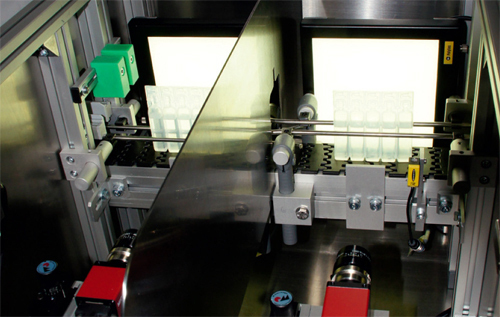 The image processing system shown here measures ampoule strips and monitors the content and processing of the product. The automation of this inspection process ensures high quality and minimizes costs resulting from production defects. The blow, fill, and seal process produces transparent strips of five ampoules each. The function of the image processing system is to determine the dimensions of the ampoule strips, to monitor the fill level of the sodium chloride solution contained therein, and to inspect the form of the ampoule neck and the opening. The various image processing tests ensure that ampoules sent to the customer will have a consistent level of quality. Malfunctions in subsequent processing steps are significantly reduced because damaged ampoule strips are ejected by a pressurized air system directly after the image processing station. The system is controlled by an intuitive HMI that can be adapted or configured according to the customer’s needs. The image-processing software allows for a large number of customizable inspections. A turnkey inspection system from ISW eliminates defects in the production of ampoule strips for the pharmaceutical industry. High-performance image processing allows data to be processed quickly, so that the products can be inspected by two five-megapixel cameras even at high production speeds. It is possible to generate multiple inspection programs that can be accessed by the user or by a programmable logic controller (PLC). The system is also able to inspect multiple product variations. Defective pieces detected by the system are automatically ejected from the conveyor belt. However, if a defective part still remains on the conveyor belt, it is detected by an ejection cross-check, which stops the system and prevents the defective part from entering further processing. A secondary detector in the system prevents backups into connected systems as well. The camera system can also be installed in existing production lines without necessitating changes to the existing layout of the product handling system. Any access or changes to the software interface must be acknowledged by the user. Moreover, every access event is saved in a log file, allowing for any changes to be tracked at a later time. Quality control data regarding product inspections can be stored and then reset to zero for each batch, thus allowing production quality to be tracked continuously over time. As ampoules enter the system, an HMI screen displays the machine vision software interface and results of the inspection. Microscan Visionscape® Gigabit Ethernet (GigE) cameras are used to inspect the dimensions and fill levels of ampoules in production. Founded in 1982, Microscan has a strong history of technology innovation including the invention of the first laser diode barcode scanner and the 2D symbology Data Matrix. 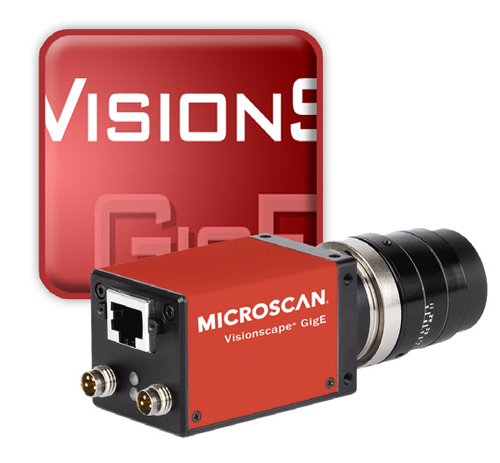 In 2008, Microscan acquired the Siemens Machine Vision division. Today, Microscan remains a technology leader in automatic identification and machine vision with extensive solutions for ID tracking, traceability and inspection.